Congratulations to all of the winners of this year’s Bell Ringer Ceremony, recognizing excellence in communications and public relations work in every field and industry, across all forms of media. Here is a recap of all of the winner’s from this year’s award categories. Bronze Rainier Communications – Content-Continuum Strategy to Catapult a Startup from Stealth to Prominence. Merit SHIFT Communications- The British are Coming: Introducing TransferWise to the U.S.
You can also view the full press release on BusinessWire. 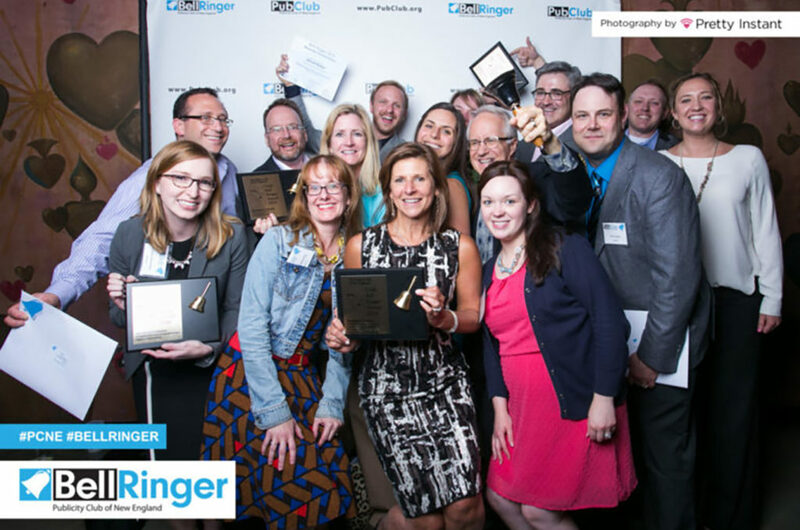 The Publicity Club of New England is the region’s oldest professional organization for public relations, communications, special events, and marketing professionals. Join today to receive free passes and discounts on non-member program fees and stay in touch on upcoming events by following us on Twitter or through our email newsletter!